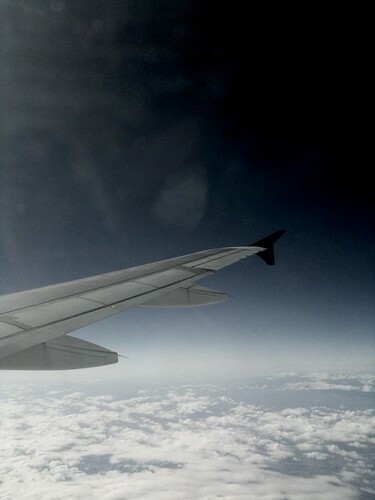 I like to take pictures out airplane windows. It’s not like it hasn’t been done a million times in a million ways by a million people a million times better, but it’s fun. I’d always try to make best guesses as to what location I was 35,000ft overhead depending on flight time and anticipated route. Most recently, iPhone in hand, I was excited to have a better, accurate, trail. After all, its location services can pin latitude and longitude attributes to all photos. Right? Yes. Except. While in flight, mobile phones are required to be in airplane mode and airplane mode equals no cellular network. No cellular network equals no location services. Obvious, but sometimes I forget about the concept of dependencies.